It is REALLY hard to believe, but the 4th quarter is upon us! And if this year has been any indication so far, October, November and December are going to fly by. That’s why now is the time to start thinking about saying “thank you” to your employees, stakeholders and best customers. Yes. It matters. Did you know that studies show that 69% of customers that leave you will do so because of “perceived indifference?” That’s right. They will leave because they think you don’t really care. That is a statistic that can be hard to swallow. But now is the time of year that you can assure that doesn’t happen. On the other hand, we understand that you don’t want to completely break the bank. So here are a few “frequently asked questions” that might be able to help you through the appreciation process. Do I have to buy for everyone? This is a tough one. This is a “yes, but…” answer. The obvious answer is, “do you want everyone to feel appreciated?” You should probably want all of your customers to know you appreciate their business. They are, after all, giving you money! But that doesn’t necessarily mean you need to appreciate them all evenly. The fact is, most companies have the 80/20 rule. 20% of their customers will often represent 80% of their overall business. If that is true for you, then you want to make sure the 20% REALLY know you appreciate them! 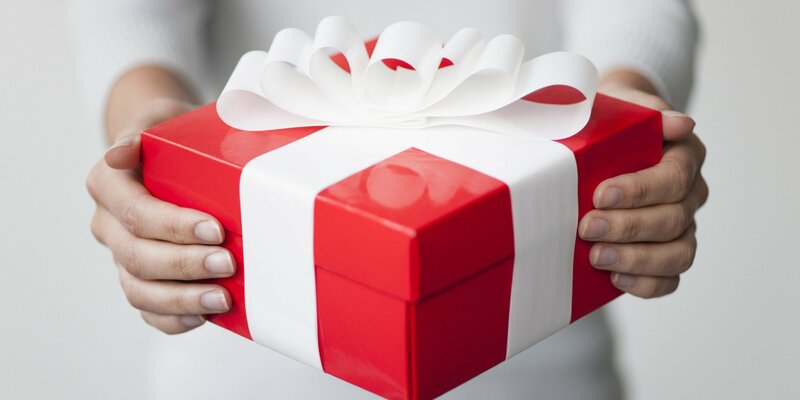 What we recommend is to select a gift that is extra special and get that delivered to your top clients. Then create an “everyone” gift as well. This can be a nice, lower cost item that can also be a gift for prospects as well. Do I have to buy a LOT of quantity? Not always. Depending on how many you need, and the budget you want to spend on each person, we have many suppliers that can do very low quantity so you can make sure every customer and employee is recognized. Just let us know and we can guide you to a lower quantity option. What about Food? Food can be a great gift for the year end. First, it’s a customary item around the holidays. But maybe more importantly, its a great share-able item! Let’s say you have 4 customers in one office, a gift basket can be a gift for all of them! One thing you want to consider about food is freshness. When you go to a department store and see gift baskets out in October (or earlier), just know that those were likely put together months in advance. How fresh could that food possibly be? Just something to consider. We have some amazing food options for your year end needs. Those are just a couple of questions we get! We are glad to answer any additional questions you have too! What is most important is to remember to say “thank you” to your customers and employees. You will be glad you took the time! If you want to make sure you stay on top of all of our updates, sign up for our VIP list here. In case you haven’t looked at the calendar, it’s the 4th quarter. That means it’s the perfect time to say “thank you” to customers, sales team and employees. Entrepreneurs know…but what do you get them so you can really make an impression? Let’s talk about a few things that you might not have considered…but you should! Soft Shell Jacket: If you want to outfit your team in style…and keep them warm at the same time…this jacket is perfect! You can get this style in a variety of colors and make it a gift that keeps on giving! Check this one out here! EvryBox Charger Speaker: This one is really cool! The EVRYBOX is a bluetooth speaker AND a phone charger in one. You have the ability to imprint in full color on the top of the piece and really make an impact on the desk of your best clients. Learn more here. Custom Etched Bottle of Wine: This is a way to really leave an impression. These Custom Etched Bottles of Wine not only give a reason to celebrate, but also leaves a really nice momento as well. Don’t want to blend in? This will help. Tower of Sweets: If you have a diverse group of people that you need to thank, or you have a group in one office to recognize, food gifts can be perfect! They are naturally share-able and (when done right) can bring that warm and fuzzy feeling you want when showing gratitude. This is just one example (and it’s awesome), but contact us if you want to other food gift ideas. Prism Padfolio: The great thing about a Padfolio is that it is functional, long lasting and valued! In addition, the perceived value is high on these. In other words, clients will actually think you spent more than you did! That’s a good thing! 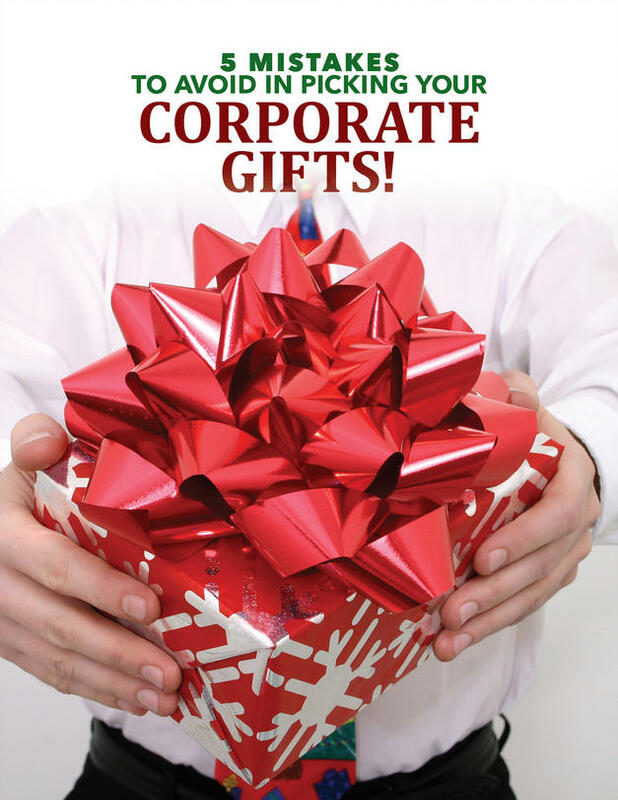 Here is a great gift option for under $10…check it out! Bonus Low Cost Item: “Okay,” you might be saying. “But do you have any gift ideas that are under a buck?” Yes! Here is an item that 40% of the population is addicted to…but it is legal! If you have a budget that is super tight…consider Lip Balm! Want more Holiday gift ideas? No worries. Contact us and we will be glad to help!